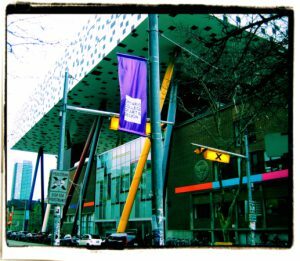 The first hour will be an informal business meeting for ARLIS Ontario where we plan on celebrating all the efforts and accomplishments of those who have organized the 40th Annual ARLIS/NA Conference: Colouring Outside the Lines! An astounding amount of time, energy, and resources have been generously invested by ARLIS Ontario members, and we really want to take this hour to recognize and applaud a job well done! In addition, the Executive Committee has been working on revising the Chapter Bylaws, and the suggested amendments will be circulated to the membership as well as posted online for those unable to attend. To ensure the focus of the Spring Meeting remains one of celebration, we will reserve voting on the proposed revisions of the Bylaws for the Fall Meeting. Mark Pompelia’s presentation is scheduled to begin at approximately 4:00 pm, and will be followed by a Question and Answer period. We hope that you are able to attend, as this meeting will not only be an excellent opportunity to interact and network with our VRA Canada colleagues, but a chance to enjoy some complimentary refreshments with ARLIS Ontario chapter members before the flurry of the conference takes off in full swing! Room 600, 100 McCaul St. If you are commuting by public transit, the closest TTC station is St. Patrick. For those driving, there is parking available on St. Patrick St. and on McCaul St. Please send your RSVP before March 23rd, along with any agenda items you would like to submit, to the Vice-Chair, Melissa Bruno at melissa.bruno@sympatico.ca .